It has been a journey, but the dreams of its founders have become a reality. Coming together within a community of diversity that spans great distances, but united by strong Suzuki bonds, the Suzuki Talent Education Association of Ontario (SAO) has grown in leadership and membership, becoming a thriving and prominent Suzuki organization in eastern Canada. This spring, after the Suzuki Association of Ontario completed a thorough application process, the SAA is pleased and proud to announce that the SAO will be joining our family of Chapter Affiliates as our first Canadian Chapter. The SAO celebrated its 20th anniversary in 2009, but its roots extend even further back to the 1970s. 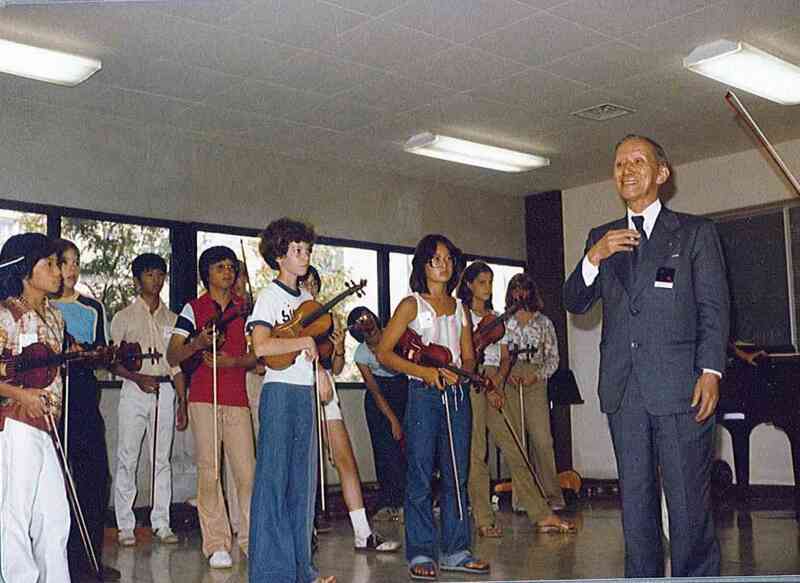 The Suzuki Method first appeared in Ontario in small pockets of teachers primarily centered in London, Guelph, Hamilton, Toronto, and Kingston. These teachers began meeting together with teachers from the United States in the Northeastern Festivals which soon inspired the formation of institutes, the Southwestern Ontario Suzuki Piano Teachers’ Association, the Toronto Suzuki Association, and the first Ontario Suzuki Newsletter. In 1989, SAA President Dorothy Jones challenged Suzuki communities to have a celebration and conference honoring Dr. Suzuki in November of that year. In response, the Toronto Suzuki Association organized a conference for all Suzuki teachers and families in Ontario, an event that marked the genesis of the Ontario Suzuki Association. By the next conference in 1990, the OSA was officially created, becoming incorporated and renamed as the Suzuki Talent Education Association of Ontario (or Suzuki Association of Ontario for short) in 1994. With this step, the SAO became and remains the only provincial organization of Suzuki teachers in Canada. As the SAO has grown throughout the past few decades, the opportunities and resources it offers have also expanded. 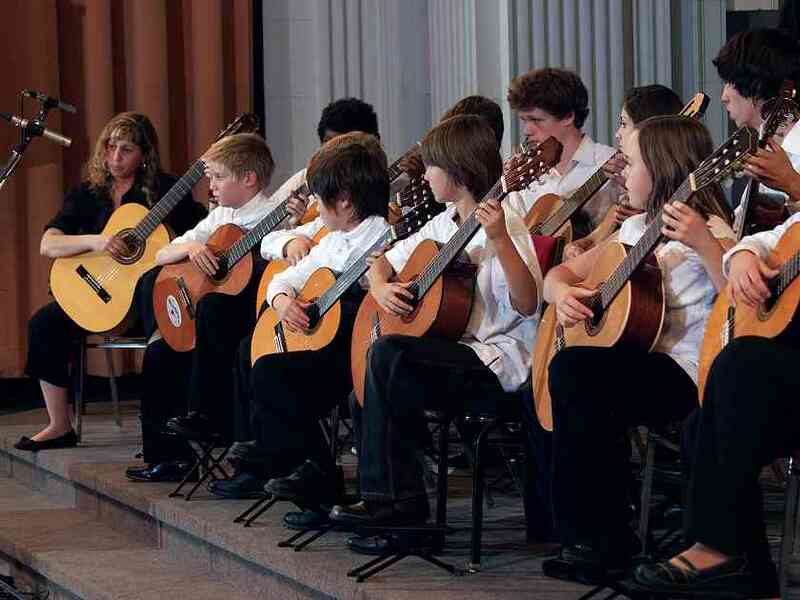 From its very formation, the SAO has annually hosted a major conference including guest speakers, instrument and non-instrument specific sessions, workshops for students and parents, as well as a final concert accompanied by a faculty orchestra. In earlier years, SAO invited such Suzuki pioneers as John Kendall, Bill Starr, Sandy Reuning and Bill Preucil as guest speakers. Each year the conference is hosted in a different area, rotating among Toronto, the southwest, eastern, and northern regions of the province. Both in the past and continuing today, the SAO conference has remained a centralized event in the SAO. To encourage participation in SAA events and training, the SAO offers several types of scholarships to their members. 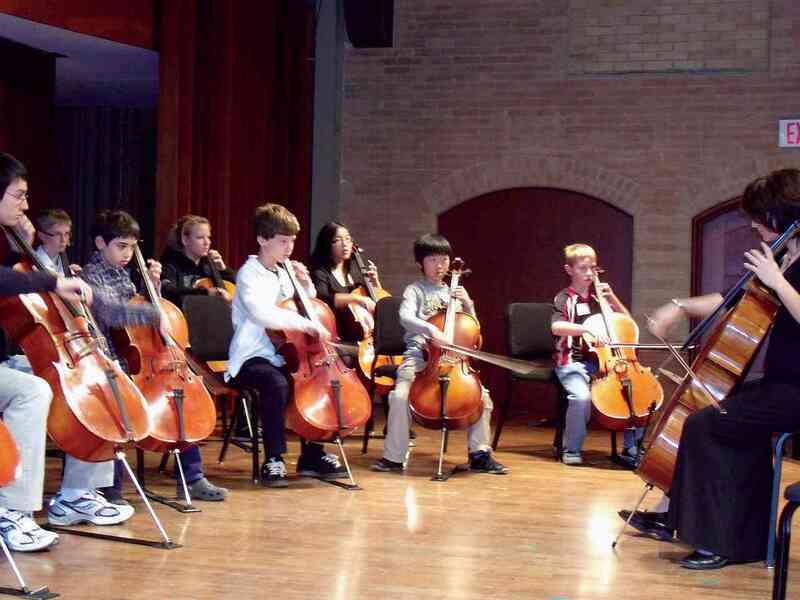 The Association initiated financial awards for students participating in the SAA conference orchestras and ensembles, as well as scholarships for teachers pursuing further SAA training. 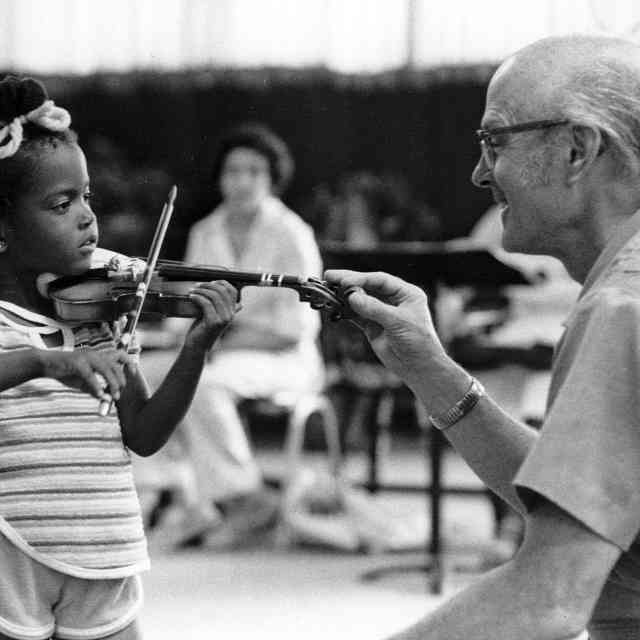 In addition, in memory of one of the founding members of the Toronto Suzuki Association, the Sheila Hall van Gijn scholarships are given to help families attend summer institutes for the first time. These scholarships have continued to provide invaluable opportunities and experiences for Suzuki students since 1983. Other valuable resources are available to everyone through the SAO website, including a teacher directory and location service, links to member schools, a listing of workshop clinicians and institutes, an electronic copy of the newsletter, downloadable forms for the annual conference in Ontario, professional development opportunities, and further information about the Suzuki method and the SAO. Furthermore, the SAO offers quarterly newsletters, a group medical, dental and disability insurance, and promotional options through their website, teacher directory, and flyers. Covering a larger region than any other Chapter Affiliate, the SAO must continually work to breach the gap of distance among their members. While this remains a constant challenge, SAO board members are working to create a system to utilize SKYPE or other online event participation for their events. Also in the works is the possibility of travel bursaries to enable participants from opposite ends of the province to attend SAO hosted events. With these developments, the SAO not only offers further education and opportunities for their members but is also able to facilitate the expansion of an interactive community devoted to sharing in the Suzuki experience. Another exciting development is a mentorship and networking program designed for new teachers, offering support and guidance in the start of their studios and continuance of Suzuki training. And similarly, the SAO plans to develop a series of events and articles designed to educate, connect, and encourage the role of parents and families in Suzuki training. We are excited about what the SAO has already accomplished and look forward to see the great things that will occur in the years to come! Congratulations to the SAO for completing this step of Chapter Affiliation with the SAA! SAA wishes to thank the Suzuki Association of Ontario for its service to the SAA for many years and in numerous ways. Thanks to the SAO for building and nurturing leadership on the provincial level and sharing the skills and talents of its leaders with the entire Suzuki community! The SAO currently includes 153 members and 10 member schools. Numerous members of SAO provided valuable advice and assistance to the SAA for the 2007 Leadership Retreat at Nottawasaga Resort in Ontario—SAA’s first large event to take place in Canada. The SAO’s first Chair was Linda Judiesch, followed by David Gerry, Dorothy Jones, Gail lange, Susan Gibbon, Elayne Ras, and its current Chair, Vicki Blechta. SAO members, past and present, have a long history of involvement in and support for the SAA! Former SAA president and Early Childhood Education founder Dorothy Jones is from London, Ontario. Among many honors, she was awarded in May an SAA Creating Learning Community award for her service to Early Childhood Education. For many years, Daphne Hughes was the director of the Guelph Suzuki Institute, which became the Southwestern Ontario Institute. She was a key member of the SAA Teacher Development Team which developed a Teacher Trainer application process and the Every Child Can! course. Now in western Canada, Daphne continues her contributions as a member of the Suzuki Principles in Action course development team. Daphne has also served on the SAA Board. David Gerry is the SAA representative to the ISA Flute Committee. He is currently conducting research at McMaster University with Dr. Laurel Trainor, which is providing evidence the Suzuki early Childhood Education improves babies’ development in numerous ways. Gail Lange is a recent past Board member and Conference Piano Coordinator. She currently serves on the Suzuki Principles in Action Committee and the Teacher Development Committee. Ellen Berry is a current SAA Board member. Susan Gagnon just completed a very busy term on the SAA Conference Team as Chamber Music Coordinator. Margot Jewell also completed a term as SAA Conference Violin Coordinator at the same time. Both did stellar work! Vicki Blechta has joined the SAA Conference Team in the flute area for 2012-2014. Current Ontario-based SAO members who serve as Teacher Trainers include Paule Barsalou, David Evenchick, Susan Gagnon, David Gerry, Sally Gross (also 2008 SAA Conference Coordinator), Karen Kimmett (SAA Violin Committee), Gail Lange, Dorothy Jones, Elayne Ras, and Valery Lloyd-Watts. Previously printed in American Suzuki Journal 38.3. Reprinted with permission. Copyright © 2010 Suzuki Association of the Americas, Inc.
Pam Brasch has been Executive Director/CEO of the Suzuki Association of the Americas for 22 years. 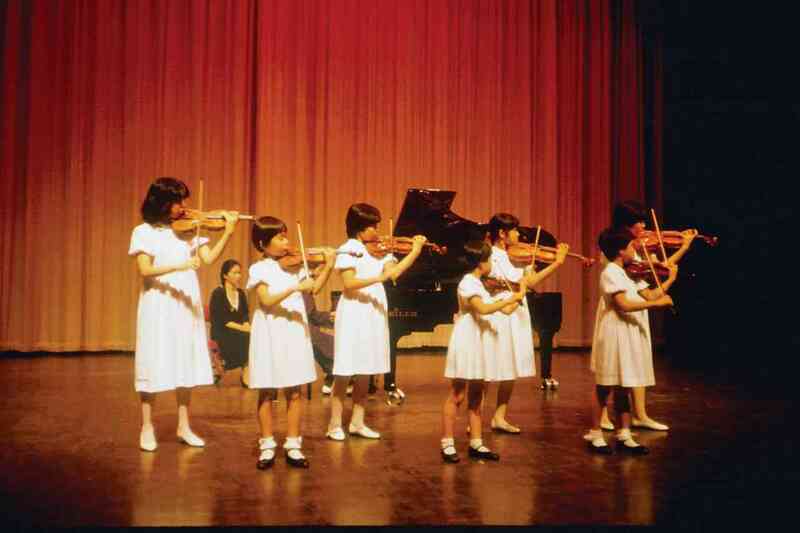 Her involvement with the Suzuki method began in 1977 as a parent. In addition she has served on the Board of Directors of the International Suzuki Association for ten years. Flutist Whitney Kelley is praised for her innovative performances and pedagogical methods which have inspired audiences across the country. Acclaimed for her “considerable technique” by the Winston-Salem Journal, she has appeared as soloist in numerous orchestral and recital settings. Whitney currently serves as piccoloist with the Denver Philharmonic and performs as a member of the Airde Ensemble, a woodwind sextet based in Boulder, Colorado. An avid teacher and researcher, her latest research projects have focused on the psychology of music learning, development and teaching and have been received with great interest across the music field both nationally and internationally. Whitney additionally serves as president of the Colorado Flute Association and staffs Summer Institutes and Chapter Affiliates for the Suzuki Association of the Americas. She received her D.M.A. 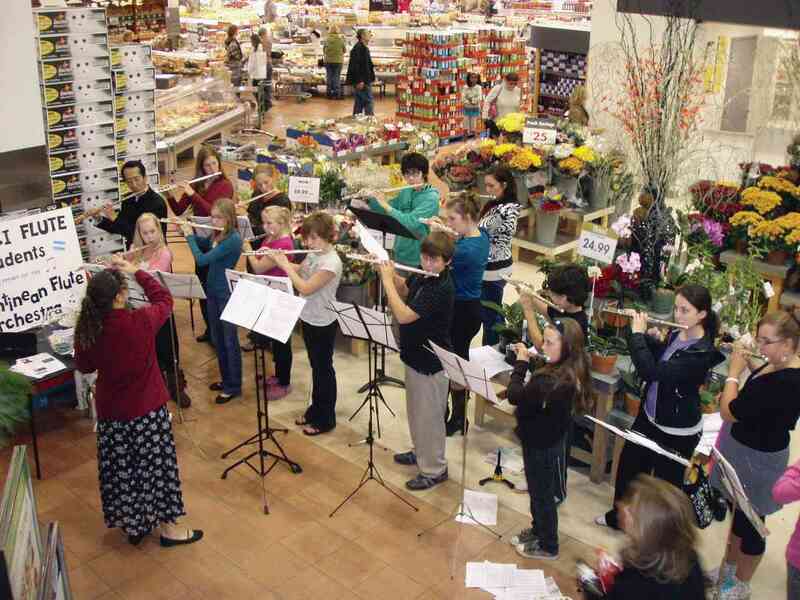 in Flute Performance and Pedagogy from the University of Colorado with Christina Jennings. For more information, visit www.whitneykelley.com.